A breed standard is a set of guidelines which is used to ensure that the animals produced by a breeder breeding conform to the specifics of the standardised breed. Breed standards are devised by breed associations or breed clubs, not by individuals, and are written to reflect the use or purpose of the species and breed of the animal. Breed standards help define the ideal animal of a breed and provide goals for breeders in improving stock. 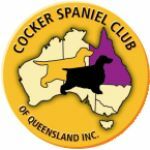 In essence a breed standard is a blueprint for an animal fit for the function it was bred - ie: Cocker Spaniels are Gundogs and are breed to work. Breed standards vary from country to country, even for the same breed. The standard used in the USA differs to the standard used in the UK. In Australia we use the Breed Standard from the country of origin for our breed - the UK.